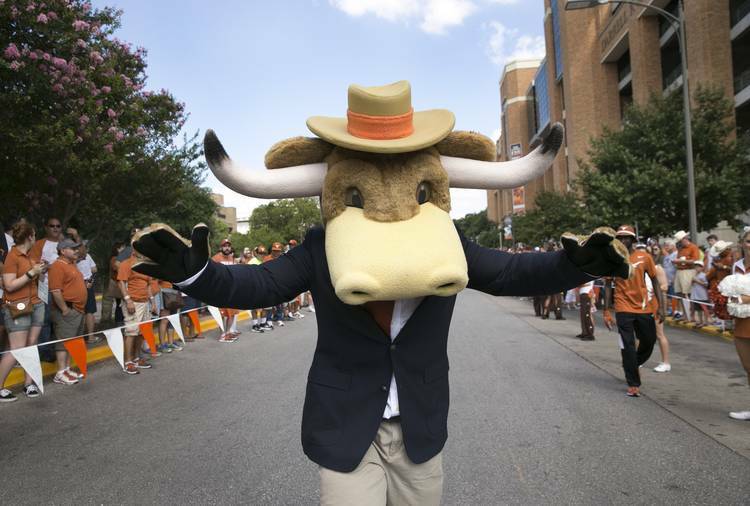 Hook ’em is just as pumped for OU weekend as everyone else, if not more. The mascot brought out his best dance moves to Zayion McCall’s “JuJu On Dat Beat” Wednesday on the Gregory Gym steps. Though he was only praised with scattered “ooohs” at the time, the video of Hook ’em dancing garnered over 14,000 retweets and almost 21,000 likes. Bonus points awarded for incorporating the Running Man challenge dance move at 0:24. UT travels to Dallas for the annual Red River Rivalry game against the Oklahoma Sooners on Saturday. Hopefully we’ll see a dance-off between Hook ‘Em and Tyrone Swoopes.